On a Snowy River trip all items required for the duration of the journey are packed onto the canoes you will be travelling on. Everything we take should be necessary for the journey, please read the packing list carefully and avoid unnecessary items. Packing list items (below) such as sleeping bag, socks, etc. Small water resistant sunscreen and lip balm. Medication – you should bring any medications you take regularly or anticipate you may need, particularly analgesics. We carry medications for emergency use. GoPro or similar waterproof action cameras can produce great on the run footage. 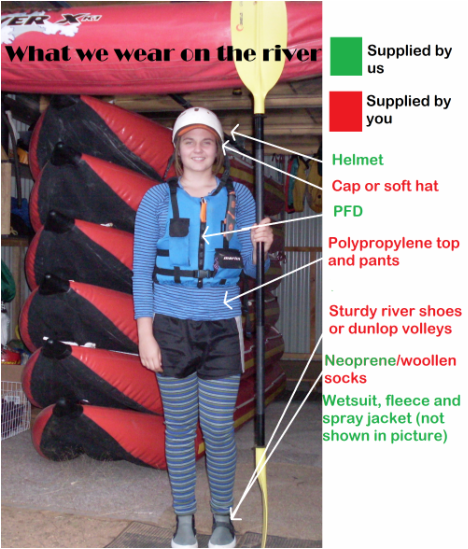 Please avoid wearing jewellery on the river.